To celebrate Los Angeles’ transportation transformation, Metro is partnering with Uber to offer $5 off any trip on uberPOOL that begins or ends at a new Expo Line Station from Friday, May 19, to Sunday, May 22*. 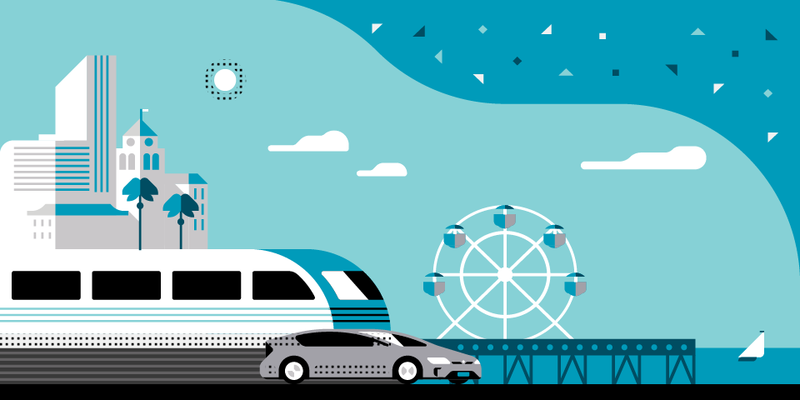 Share the ride and get from door to station to your final destination this weekend with Metro and uberPOOL. Seven new Metro stations and 6.6 new miles of rail helps riders explore even more of LA — but parking at the station could be tight, and sometimes it’s just too far too walk. Keep a good thing going — save stress and money, and go the extra (first and last) mile with uberPOOL. Avoid the lines and get a TAP card. Expo Line rides are free from noon Friday through Saturday. Request your ride with uberPOOL, and explore LA — low-cost and car-free! For over a year, uberPOOL has enabled Angelenos going the same direction at the same time to share the journey. It’s carpooling at the push of a button that means cheaper rides for passengers and less congestion over time. And by literally picking up where public transportation drops off, Uber helps give people the benefits of car ownership without the hassle or expense. “We believe ridesharing services like uberPOOL are an important complement to public transportation, and we’re excited to partner with Metro to provide more mobility options for Angelenos that can lead to less congestion, less pollution and less dependence on personal car ownership,” said Christopher Ballard, General Manager for Uber Southern California. Uber increases mobility options that make a car-free lifestyle possible. According to the American Public Transit Association (APTA), the more people use ridesharing services like uberPOOL, the more likely they are to ride on public transit. Today 30 percent of all Uber trips in LA take place on uberPOOL, and 14 percent of all uberPOOL trips in LA already drop off near a Metro stop. uberPool helps get more people in fewer cars, but the transportation transformation is just getting started. Nearly 75 percent of LA drives alone! We look forward to working with Metro to build a city that is less congested, less polluted, and less dependent on cars. When you drive less and explore more, LA suddenly feels a whole lot smaller. *One $5 ride per person. Valid on uberPOOL only from 5.20-5.22. Eligible stations include Culver City, Palms, Westwood/Rancho Park, Expo/Sepulveda, Expo/Bundy, 26th/Bergamot, 17th/SMC, Downtown Santa Monica.